Hard rock four-piece LIKE A STORM released their new music video for "Complicated (Stitches & Scars)" via Century Media/RED MUSIC. Fans can watch the music video on KNAC.COM HERE. The music video was shot by Ron Thunderwood and edited by Sam Shapiro. "Complicated (Stitches & Scars)" is off of the band's 2018 full-length release, Catacombs, and is climbing the US Rock Radio charts currently at #31 on the chart. Catacombs debuted on the Top 5 Billboard Heatseekers Charts, Top 50 Billboard Emerging Artist Charts, and Top 100 Billboard Album Charts. 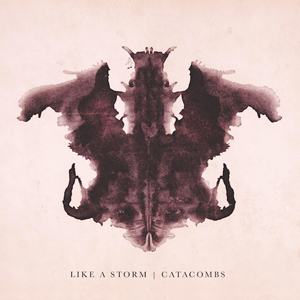 The album was produced by LIKE A STORM's very own Chris Brooks, Matt Brooks, and Kent Brooks and is available for purchase and on all streaming devices. The New Zealand rockers are currently on the road headlining the 2019 Sirius XM Octane Accelerator Headline Tour. ROYAL TUSK and AFTERLIFE are joining the band on the US tour, which is hitting major cities like New York, Chicago, Dallas, Baltimore, and more.